At 42 years old I have decided to start trying to get in better shape. The problem is that my body no longer responds the way I remember it when I was 24. Shin splints, knee swelling, fatigue, and general misery have made wonder why I am putting myself through this. There is hope. Technology and gadgets! With my iPhone I have been using Nike+ for running and MapMyRide GPS for Cycling. Another huge improvement in cycling for me is when I started using a CatEye Strada Double Wireless cyclocomputer with cadence. Keeping my pedal speed between 80-90 made a huge difference in my performance. So I am always on the lookout for gadgets to help get in better shape and the one thing I have been looking for is a heart monitor. Usually pretty expensive, there was an option with my CatEye that would allow for for a heart rate monitor. But it was priced over $150 bucks. 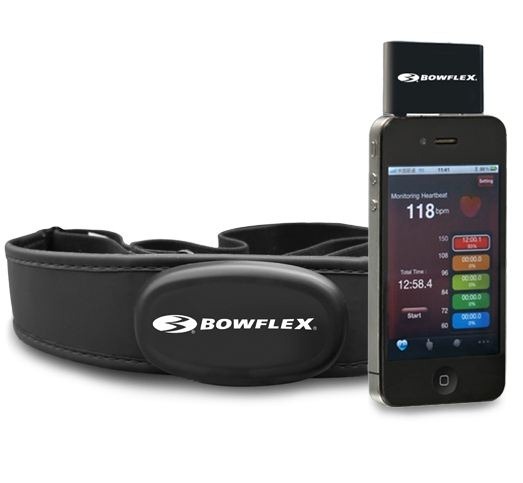 But thanks to David K and a heads up email, there is a Bowflex iConnect Fit Wireless Heart Rate Monitor Kit for the iPhone (4, 4S & 5), iPad (1, 2 & 3) & Androids for just $29.99 on 1saleaday.com. The Bowflex iConnect normally sells for $150.00 and is now $29.99 for the next 12 hours. Monitoring your heart rate will just like watching your cadence cycling, maximize your cardio workout and allow you to keep an eye on your heart rate displayed continuously on your iPhone or Android device. Fits any 3.5mm headphone jack Compatible with iPhone 4, iPhone 4S, iPhone 5, iPad 1, 2 & 3 and Android Tablets & Smartphones. Head on over to 1saleaday.com while they last to get yours. Next articleMicrosoft Store site indicates the Surface RTs are completely sold out!